Mechanical Mixers | Smooth-On, Inc. 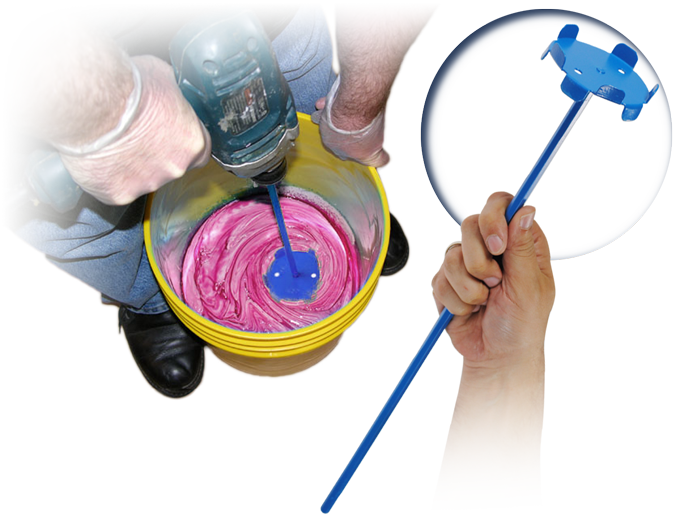 The Turbine Mixer is a simple design, yet does a better job of mixing Smooth-On rubbers, plastics and foams than any mixer we've tried. It also mixes powder-based Alja Safe® alginate and Matrix NEO® with fiber better than any other mixer. Just as important; it is easier to clean vs other mixers that we've tried saving time and labor. The Turbine Mixer is also less expensive vs. other mixers on the market. Turbine mixer offers efficient mixing achieved through material spinning across a horizontal plate and propelled through battlements where it is dispersed. 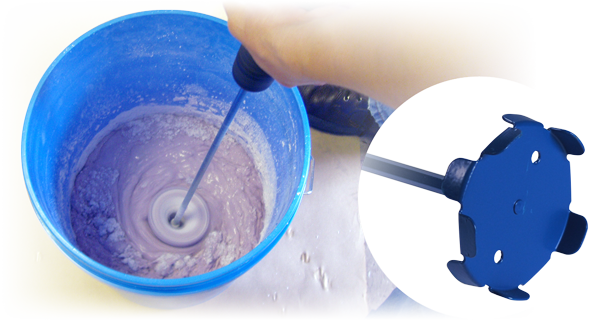 For use in electric or cordless drills,the Turbine mixer offers a wide range of uses from filled liquid resin, liquid rubber, water and alginate, and liquid expanding foams with minimal splattering.